HospitalPORTAL makes it easier for healthcare organizations to share News, Events, Policy Management, Forms & Workflows, Directories, Emergency Preparedness, Social Engagement and more. A fully-featured and modern Intranet with an integrated Policy Manager that no longer requires a large hospital, clinic or long-term care facility budget. Our solution is an out-of-the box solution specifically designed for hospitals, clinics, ASCs and long-term care healthcare organizations. We help healthcare organizations to simplify their internal communications and build exceptional employee experiences. We make it possible for your healthcare organization to improve its internal staff communications and automate administrative workflows with the use of only ONE technology solution. Now, your healthcare organization can get the features and functionality of a comprehensive system that is proven and affordable that does not require extensive implementation or customization efforts. A fully featured, modern Intranet and Policy Manager that no longer requires a large hospital budget. 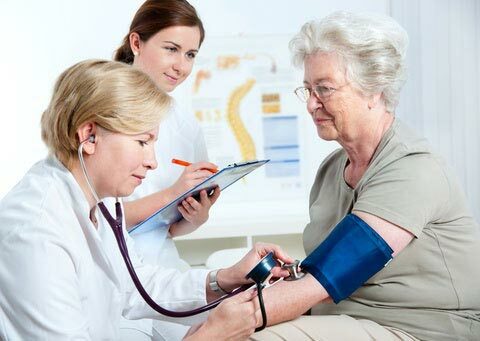 Our products are utilized by over 200 hospitals (and over 300,000 daily users) across the country—most of which are small and rural hospitals or smaller healthcare organizations. The clients that come to us are looking to streamline hospital communication across their staff, physicians, and partners or a replacement to a SharePoint intranet. We quickly show them how easy it is to seamlessly share calendars and events, publish internal education and training resources, distribute confidential departmental information, and organize, publish, and manage hospital policies, protocols, forms and contracts all from one centralized location. HospitalPORTAL is the only Intranet with an integrated Policies and Procedures component built-in. The Policy Management system is also available as a standalone product too. Our solution is an out-of-the box solution specifically designed with small and rural hospitals in mind. The components of our content management system were meticulously assembled to meet the vital day-to-day communication needs of highly-regulated healthcare environments. Specialized components such as On-Call Scheduling Manager, Emergency Preparedness, Policy Manager, and Directories fill the acute needs of every hospital environment while the Intranet functions as a central repository for diverse resources, and a workspace for collaboration and social networking for specific groups and departments around the hospital. Robb Gardner, CEO of Henry County Health Center (a 25 bed acute care hospital with 49 bed long-term facility in Southeast IA), talks about HospitalPORTAL’s impact on his rural hospital in his interview conducted by the National Rural Health Association. New features and custom development at HospitalPORTAL are based on needs identified by our rural hospital clients through enhancement requests. We take pride in listening to and understanding the business problems faced by our clients and we continually improve our software based on this feedback. Our solutions reflect these opinions and address the most common communication challenges of small, rural healthcare environments. 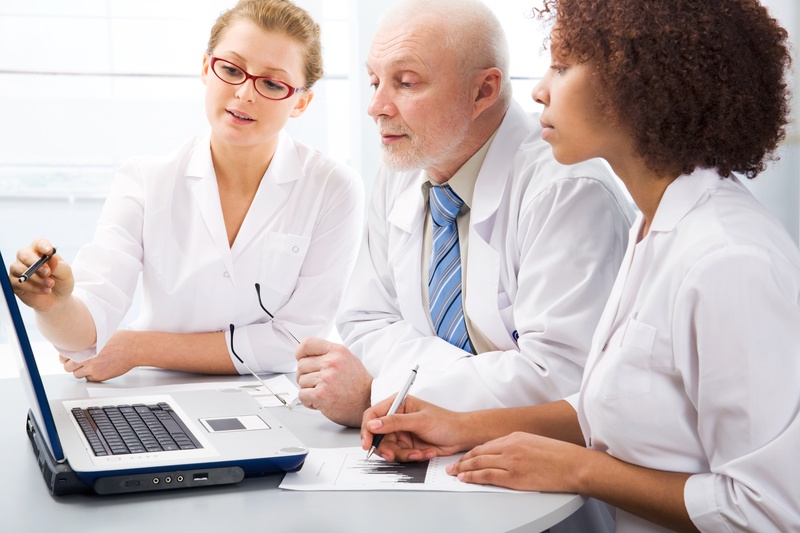 We know that smaller healthcare organizations’ internal resources are always at a premium. Our team will guide you around potential problem areas and recommend best practices we have gained from implementing Intranets in small and rural hospitals across the country. We bring an in-depth understanding of the idiosyncrasies of healthcare along with solutions to the common challenges small, rural hospitals may face. Expert consulting and guidance is available to simplify the tricky issues from strategy and governance to information security and privacy concerns. Implementing this system puts little to no strain on your IT department, and can happen very quickly. We offer helpful guidance throughout the process sharing best practices gained from implementing hundreds of policy manager solutions. With multiple file upload tools, your facility can upload all documents in an organized, seamless way with minimal effort to staff. Your IT team will love you for selecting our solution for your Intranet needs. Our implementation and support teams do a great deal of hand holding to get your solution up and running. We provide onsite training where we can get 50+ pages developed. We offer both an installed, on-premise and SaaS (hosted) solution. We integrate with your Active Directory making user management a breeze. All system installation and configuration is performed by HospitalPORTAL staff on your designated servers over VPN or remote desktop tools. HospitalPORTAL provides custom site graphics templates to match your corporate directives and styles. Onsite classroom training or offsite web sessions are available for your technical users and frontline content managers. HospitalPORTAL works individually with your departmental super users and site administrators to lay out the content, configure security, and build the site based on best practice approaches. Policies and procedures review, preparation and upload support is available throughout the implementation phases of the system. HospitalPORTAL’s in-house support team will be standing by to provide any assistance you may need after the system goes live too. By offering a system that is sophisticated on the back-end, yet simple on the front-end, HospitalPORTAL’s Intranet is easy to use even by staff with minimal tech-savviness. This same setup allows non-technical departmental staff to manage content themselves without the need to involve IT resources. We have over 65 Rural Hospitals as clients. We have proven this solution with those clients, and since 1999, we have maintained a 99.5% client retention rate. The only time we lose a client is when a smaller hospital gets acquired. Our solutions are attainable with a small hospital budget and minimal impact on IT and hospital staff during the implementation phases. We make it possible for small and rural hospitals to utilize sophisticated features and robust functionality in an affordable and comprehensive package that does not require extensive implementation and customized efforts. It strikes a perfect middle-ground between a system that must be custom-built from the ground up and a custom enterprise CMS that would be far outside of the financial reach and needs of a rural health organization. Our product is a niche product, optimally utilized by small to mid-sized hospitals. Get Your Free Intranet Quote Today! A complete Intranet solution for large or small healthcare organizations with affordable and flexible pricing options for any budget. The functionality of a custom-built application without the impact to your IT department. Easy to use content editing features make this solution robust enough to support thousands of daily users, but simple enough to be used by staff with little tech-savviness. Our HospitalPORTAL Intranet and Policy Management solution are both completely scalable—if you experience growth, our solution grows with you. HospitalPORTAL is a proven solution used by many large hospitals and healthcare organizations with hundreds of beds and thousands of employees. Some of our clients include NCH, CentroMed, Martin Luther King in LA, Cook County Health System, and HCA which has over 20,000 employees, to name a few. Our built-in functionality and components address the needs of large clinical workforces including comprehensive document management and routing repositories, staff and physician directories, call scheduling system, class, and training registration solutions, and much more! The HospitalPORTAL content management system has a built-in smart search engine. You can search for news or documents by keyword, title, joint commission number and so on. Staff will no longer need directions to locate and access announcements, events, and policies. 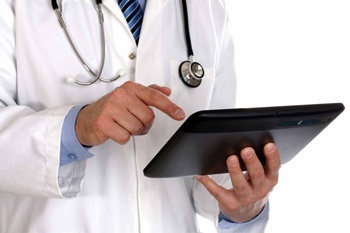 HospitalPORTAL makes it easy for departmental managers to manage their own content. An Intranet is only as robust as its content. By specifically making content editing simple for the end users, there is no need for IT staff to step in to make changes which can be difficult with other customized Intranet solutions like Sharepoint. Our solution encourages involvement from your departmental contributors so information stays current, fresh and relevant and easily shared across multiple facilities and staff. HospitalPORTAL offers an enterprise-level solution with a simple IT infrastructure. There is no need to allocate an army of dedicated IT administrators to manage the implementation of the solutions. Our comprehensive hospital policy management system addresses even the most complex policy approvals and routing requirements. Our system can automate and track the entire lifecycle of a document. With auto-archiving and elaborate version controls, your policies will stay up-to-date so you can meet the large hospital legal requirements pressed upon you. The Policy Manager can be used as a stand-alone product alongside your existing Intranet or it can be integrated within the HospitalPORTAL Intranet platform making it easy to centralize all communications, alerts, and tasks. Our integrated and robust search platform allows users to find hospital information, documents, and policy repositories quickly and easily so your staff can remain compliant and offer the best possible care to patients. With read acknowledgement features, you can track employee attestation to be sure they have read the latest updates to any policy or protocol. The HospitalPORTAL P&P components can be repurposed for use with hospital and physician contracts and business associate agreements (BAAs). You can easily set viewing rights for confidential access. Expiration of contracts up for review can use email notification reminders. All documents can be tagged with additional keywords (term of contract, how much, vendor contract) and so on. Revision history can be exported and reviewed annually too. HospitalPORTAL’s Forms and Workflow builder allows for the creation of online fillable forms and routing workflows for departmental and hospital-wide uses. 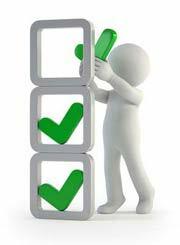 All submitted forms can have a workflow attached which will alert the appropriate staff to take action on a form item. This makes for seamless workflow and can replace paper-based tasks keeping all communication in one, central location. Flexible security and comprehensive authentication frameworks are available so your organization can seamlessly integrate our products with the hospital’s Active Directory. This allows for more control over user access and editing and viewing rights. By installing our solutions on your hospital server, you get a very secure portal that achieves the IT security standards of your organization. HospitalPORTAL offers a complete suite of training and implementation services that address all aspects of a successful Intranet roll-out in a large hospital enterprise environment. We offer a dedicated support staff that will guide you through the entire implementation. We stand by our product and want your hospital organization to be fully supported throughout all stages of deployment. Our dedicated and in-house help desk support staff is available to answer your technical questions and to provide on-going best practice recommendations as needed. Once you become a client, you have access to the HospitalPORTAL Academy which is a self-service support site dedicated to helping you learn everything about using your Intranet and Policy Manager solution. Software for effectively communicating with employees, physicians, and board members. For many long-term organizations, internal communications is essential to the successful operation of their facilities. With a large staff to manage, connecting to people to vital information can be a challenge. Our fully featured and modern Intranet has an integrated policy management system, ComplyALIGN, with a healthcare-specific features library so publishing and accessing content for your staff is a breeze. Our system meets many of the communication challenges that are common to long-term care and managed care facilities such as assisted living, nursing homes, hospice, home care agencies, continuing care retirement communities and more. Specialized components are pre-built to publish content such as staff directories, call schedules, policies, manuals, performance management, human resources & benefits, living communities, education and more. The system includes a comprehensive access and security mechanism that allows for restricting access to specific areas of the Intranet to select user groups so your connected partners and facilities can make confidential visible to the right staff. Ambulatory Surgery Centers (otherwise known as ASCs) are transforming the way consumers and patients receive same-day care. These modern health care facilities are focused on providing an alternative to outpatient surgical care, diagnostic and preventive procedures. The convenience of these types of healthcare centers has gained awareness among consumers throughout the U.S. With this recognition and consistent growth, it is no surprise that keeping ambulatory surgery center communications streamlined and managing policies, procedures, and standards is an important objective to maintaining high-quality care at these unique facilities. Information Technology is extremely important to the effectiveness of an ambulatory surgery center. HospitalPORTAL offers an Intranet and Policy Management System to assist you in maintaining your organization’s technology infrastructure. Today’s ASCs have many of the same challenges as hospitals. Connecting staff, physicians and management across multiple surgical centers, managing standards and protocols, and training and educating staff are priorities for these alternative healthcare facilities. HospitalPORTAL has been working with hospitals and healthcare organizations since 1999. Our healthcare-featured Intranet software supports many of the vital and critical business processes of an ASC. By utilizing an Intranet and Policy Management system, ASCs can streamline their clinical and business operations, and enhance their bottom line all while remaining compliant with the ever-evolving regulatory criteria they are faced with. How do ASCs compete with hospital-based care and stay relevant in communities? In order to stay relevant and competitive, ASCs must maintain their standards to continue to provide care at reduced costs. Additionally, ASCs must retain quality staff and physicians to keep operating successful surgical centers. 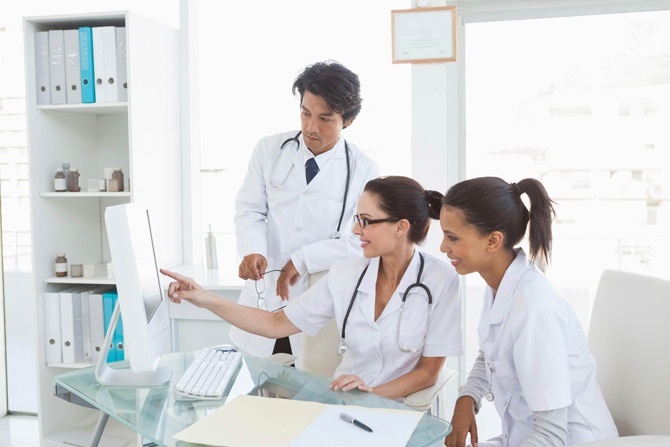 Empowered and equipped workforces are essential to all healthcare organizations. Education, patient safety awareness, training, standardization are key factors in the operation of the modern ASC. Convenience is equally important to the success of an ASC. If a facility cannot produce the same standards of care quickly and effectively, patients might seek hospital-based procedures instead. There are many advantages to a healthcare Intranet and Policy Management content management system for ASCs. This content management system can assist ASCs by providing simplified and centralized access to vital information including policies and procedures management. In order to keep the costs lower for outpatient-based procedures, ASCs must maintain their accreditation and CMS compliance. By utilizing an Intranet for an ASC, your organization can experience improved communication capabilities across employees, staff, and stakeholders. By connecting staff through a centralized communication portal, ASCs can increase productivity among staff and physicians allowing facilities to streamline and maintain convenient, cost-effective care. Additional advantages would be automating manual tasks ensuring that all staff is performing the same standards of care. Social tools, two-way communication features like forums, blogs, and collaboration pages can all promote positive engagement between staff and leadership so care is administered more consistently. Finally, there is little to no strain on IT to incorporate this system into your organization. Decentralized content management frees up IT staff so they can focus on more elaborate technical tasks. With simple editing and publishing tools, an ASC can use an Intranet to easily distribute vital news, events, and corporate and clinical policies across multiple departments, employee groups, physicians, board members and more. Overall, this is an excellent product that has brought our organization's Intranet into the 21st century. I am extremely pleased with the ease of use and the staff who develop, implement, and support St. Luke's hospital! We chose HospitalPORTAL’s Intranet because it was easy to build, easy to use and robust enough to do whatever we want to do. 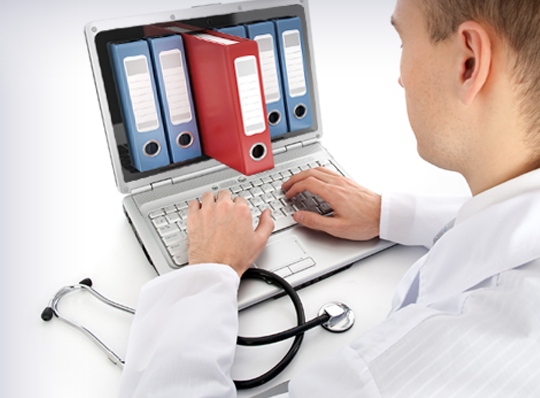 We have saved thousands of dollars in paper costs along with time thanks to the HospitalPORTAL Intranet. I wish all training was this comprehensive. I’m hearing such comments as ‘wow,’ ‘I’ve been asking for this for years,’ and ‘you’re saving my department a month’s worth of overtime’ since HospitalPORTAL installed the program. Share a little about yourself and select a date/time for your demo!